This is a story of harsh battles, secret treasonous plots, and the life-threatening politics of the dark ages of early Britain. 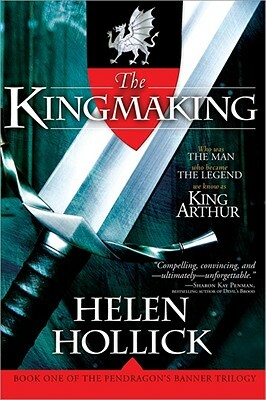 Intertwined through it all is the often-tested love of Arthur and Gwenhwyfar (Guinevere in Welsh--her name as it really would have been) as they struggle to survive and conquer to see Pendragon become King. "Hollick joggles a cast of characters and a bloody, tangled plot with great skill." --Publishers Weekly. Helen Hollick lives in London, England with her husband, daughter, and a variety of pets, which include several horses, cats, and two dogs. She has two major interests: Roman/Saxon Britain and the Golden Age of Piracy--the early eighteenth century. Her particular pleasure is researching the facts behind the small glimpses of history and bringing the characters behind those facts to full and glorious life. She has an Honours Diploma in Early Medieval History and is co-scriptwriter for the movie project 1066.